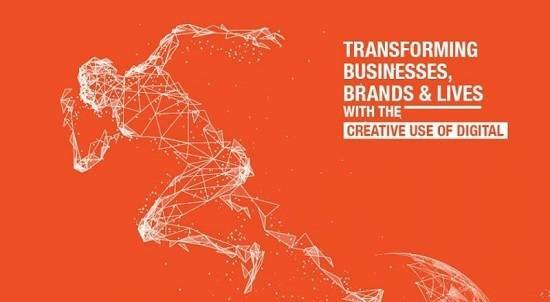 Established in 2008, Isobar today has morphed into a full service global digital marketing agency, driven by the purpose to deliver borderless ideas enabled by technology, to transform businesses and brands. While Part 1 of this Exclusive Feature report explored the making of Isobar as a full service global digital marketing agency, the key milestones, commencement of the Delhi operations; Part 2 of the report seeks to how technology is at the core of Isobar, empowering women leaders, the future of Voice, the road ahead and more. Speaking on the things that the agency keeps in mind and how it married that technology element with the client brief, Shekhar Mhaskar, Executive Vice President, Isobar India, elucidated. I would actually take a step back and instead of getting the technology with the idea, I think of the idea first, because idea is the main ingredient of the solution. If the idea is strong enough, you will move everything around the idea – be it media campaigns, where the technology, too, falls in place and then think how to integrate these things together. Integration of the technology comes at a much later stage. Data technology is well equipped with all sorts of platforms and all sorts of skills in terms of languages that we use – be it as big as a site code implementation or a simple PWA application, we have an entire gambit of technology skills. To answer the question on how we integrate technology with the idea, we look at the scalability of the idea first and the scale of technology that we go to the client with and also marry it with what the client already has, because most of the clients have their own technology platforms and we need to see how we can seamlessly integrate our solutions with their technology first. The scale that we had some time back is brought up using the right technology for the brand. That’s the kind of strength that we have when it comes to technology in lsobar. Shamsuddin Jasani, Group MD - South Asia, Isobar: We are the ones to suggest technology rather than the client. There is a different team now for the last two and a half years during which we have developed a lot of technology. For example, Maruti Chatbot is an innovation that we have come up with, where we have integrated technology with a regular banner. We have done that with BMW search campaigns, where we had done tickers in Google Search itself and so every time we searched BMW, there was a ticker that went which was never there earlier. A lot of ideas on digital have to be enabled by technology. On digital, it has to be a marriage of creative and technology. Increasingly that is something more sought out in today’s spaces and how you can creatively use those platforms to your advantage is something that these teams figure out. When asked how willing are clients to experiment with a new technology to create a ‘wow’ factor and open to integrating technology, Gopa Kumar, Executive Vice President, Isobar India, replied. Those kinds of requests don’t often come from the clients. When we approach the client for a pitch, we always have a technology innovation idea. If the client really thinks about it, then we will have a prototype ready. But we are the ones to give the idea to the clients. I have hardly seen one or two clients who have given their brief where they are asking for some technology innovation, but most of the time it happens from our side. Shamsuddin Jasani: These are always going to be there. That performance was a big part of how digital started and it will always remain, but I think a lot more clients are looking at how to create brands or make brands or communicate brands on digital. Earlier, for clients digital was all about how they are going to generate leads and all that; I think that is changing because of the scale that digital brings. Today, clients want to know how digital can have an everlasting effect on their brands, how they can create businesses that are digital- only businesses. Ten years of Isobar has been about digital marketing. Our next evolution is going to be about being the agency for the digital age. By that we mean that we want to use the power of digital to drive businesses and brand objectives and not just marketing and digital objectives for clients. Shamsuddin Jasani: The future question for Isobar is going to be – How are we going to do digital transformation for our clients? In the next couple of months you will start hearing about digital transformation projects. We are working with clients to use digital to the core of their projects and not just marketing. It is not just about saying how many leads I got, but how I am able to use digital to create intrinsic value in my business. How can I create a product that is digital? For example, even though the Dollar Shave Club is in the US and is about shaving, it actually leveraged digital as a platform to be able to generate business. It is a digital-only business. Another question asked is how can I work with legacy companies to drive business in a way that takes full advantage of digital as a whole? The second part of it is e-commerce. We launched Isobar Commerce about two months back, which was a global acquisition. We’ve got 200 people in Pune who do large, high level e-commerce development as well as the integration of the three existing Isobar factions that comprise the Isobar Group. We are going to work with brands to do end to end e-commerce consulting with them. Basically, what we are saying is, we work with you to understand your ecosystem. For example, we are working with a small fashion brand, they have not embarked on their e-commerce journey, but are selling through a third party like Amazon or Flipkart. They will develop their own platform, but at the same time how will they manage what goes on there; what part of their business will be driven through third party and which part will be driven from their own store. How to link their website to their offline stores? Thus, we do e-commerce ecosystem management as well as development for them. We are now diversifying into the e-commerce business because we feel it has a huge potential that far outstrips the advertising industry. The industry is massive. We can drive a lot of value for clients in the e-commerce ecosystem. Of course, we will be doing a lot of innovations in voice and video that is also important. Shekhar Mhaskar: I’ll give a personal example, when I drive from home to office, or vice versa, I speak to my phone to know about traffic congestion. I don’t need to type anything to switch on the Bluetooth or the GPS. Moving forward in the future, we will have phones without any keypads, we’ll still keep talking to them. Shamsuddin Jasani: For me, Voice is going to shape the way we live, forget advertising. What Voice does is that it breaks down a lot of barriers. The English barrier that we have on the digital medium right now will be breached. You no longer need to be literate. I don’t know how many million Reliance Jio phones, which are priced at Rs 500, will be voice-enabled, which means you can actually talk to those phones. Forget people like us who already know about it, but imagine the consumption of a person sitting in UP or Bihar, who can now get to content very quickly. Of course, to develop content for those languages is going to take about one to one and a half years. Basically, now I feel that we are plateauing on the mobile phone usage. Mobile phone usage is going to go down, by that I mean that you will own a mobile but not use it the way you do right now. Voice is going to take over – in your car you’ll have a Siri, Alexa or Google Assistant, where you can just talk to them for everything, you don’t need to switch on your phone. At home, my entire home is connected to Alexa, I can just talk to Alexa and do whatever I want through Alexa. Right now, if you are talking to your phone you can throw up a video on to your TV using a Google Cast, for example. I believe this is going to be the biggest change because when people talk about VR and AR, it is still restricted because of the expense of the technology. At least for AR you will still need about Rs 15,000-Rs 20,000 per product, you will not get a decent AR product below Rs 5,000, but you will get a voice-enabled phone for that much. In the next one and a half to two years, we are going to see a big change in the way human beings interact with technology around us enabled by voice. That is really going to drive the future market. Shekhar Mhaskar: Speaking about Voice, for example, while we do digital today, we reach out to people on social media channels using panels and what not. Going forward we have to find out where are people interacting with their devices and phones using Voice. For example, if you need insurance information from an insurance company, you will call the call centre and make a request, now integrate that with Alexa. We talk to Alexa, all the information is fed into that, and you have created a scale, when we do something it is said to be an Alexa scale to be created on the Alexa platform. Now they have created those scales, fed in all the information about your policies so you don’t actually have to call anybody. That saves investment on the brand’s end as having a call centre which is a big investment and expense. When we take about business then technology is helping you cut down on the business expenses; for the consumer the exchange is simple. You just talk to your Alexa and get all the information. That’s how I think we should move in the future keeping aside all the traditional touch points and that’s how you talk to your audiences going forward. 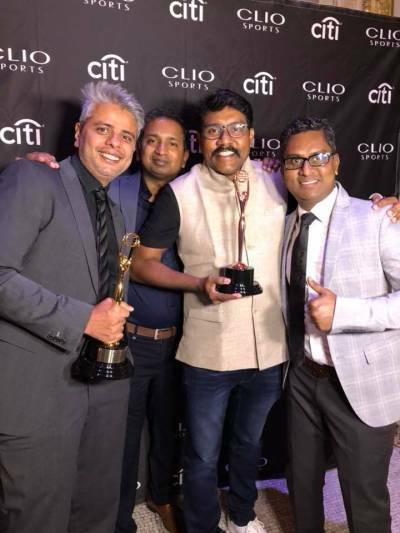 Shamsuddin Jasani: Winning has become sort of a habit for us. It stems from the whole idea of empowerment, because we wouldn’t be able to win so many awards if it was just the four of us. It is about the 300+ people who are a part of it. We want people to feel good about their work. Over the years thousands of people have applied for working with Isobar, we must have placed only 10 per cent of those people. Ninety per cent have been placed through references. It’s a very big number. That only happens because the people who are working in the organisation are happy with it. You want to join a team that is always on the go; there have been ups and downs, I won’t say that we’re 100 per cent great, we do have room for improvement, but that’s what happens when you are there always. That is a very important part of our industry – when you work in a people-based industry, they like to work for the best, and that helps. Shamsuddin Jasani: I’m not happy actually with the number of women talent that we have. It still needs to improve. I think, we were the first firm about a year back to have an 18-month, no questions asked policy to give the job back to anyone who leaves due to pregnancy. This includes the six months paid leave. This comes from a personal experience with my wife, who found it difficult to get a job after her pregnancy. We are doing a lot of these things because it’s not so much about women’s empowerment, as it is about the multi-dimensional role of a woman, you need to be able to give them the tools to succeed despite all the challenges that they face. We have flexible timings and are consciously talking about all the women leaders. 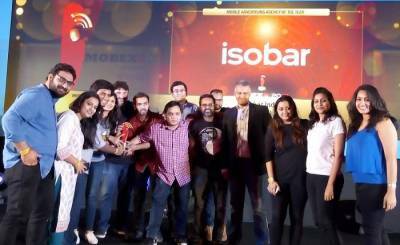 A lot of winners who have been there within Isobar have been women and initially it was a push. Now, it doesn’t need to be pushed. Now, it’s just happening organically. My aim is to have more women in the senior management team by 2020. If I have four people sitting around me and all are men, then I’m not doing my job. Pay parity has never been an issue at Isobar. I’m sure in Isobar the women are paid better than the men as I am privy to those details. It’s just that we have some amazing talent that deserves that, so I don’t think it’s true in Isobar at least. Shamsuddin Jasani: You have to have a personal connect and I truly believe that’s the Isobar way. There are people who have spent eight years to build an organisation and I hold them dear. It matters to us that people, as we call it, bleed orange. That’s what we want. We want people who feel the passion for Isobar and feel that connect. That’s really the culture that helps an organisation bloom if you all feel that passion. There will be times when you get people on board who will not feel that connect. Increasingly, what we are doing is hiring people not for their aptitude but for their attitude. They need to have the right attitude, because you can teach someone to be a better planner but you cannot teach an intrinsic value that the other person brings to work. I think attitude is more important. That’s the fit that we are looking for. Shamsuddin Jasani: Let me first talk about the split of businesses. By 2020, we will double, so the target is there. In April, we had an Isobar India conference, where we set a vision for what we want for 2020; it was called Vision 2020. Vision 2020 is about doubling our revenue in a matter of two years and it’s a very strong target. We have already scaled up, it’s not like 2008. We are not talking about people anymore because we want to actually start getting as much technology to help as possible. I don’t think any organisation will grow in number of people as it used to because automation will take over a lot so our targets are more in terms of people. I am actually going to say that my take on the number of clients in a business is very controversial but I would want to work with fewer clients and not more clients because we want to work with clients at scale. I want to work closely with clients where I can work end to end with clients and be able to do a great job. We have a lot of as Gopa pointed out 15-20% of our work are project and 80% of our work is EOR based. We want it to be 100%, honestly on the EOR. We want to work on large scale ads. We want 5-6 of the Maruti’s where we can actually showcase the vastness of what we can do for a client. Once we get that we can make a huge difference for our clients rather than do something piecemeal. That’s where we make a big difference to our client and that’s really the objective. My objective has never been the number of clients. In terms of media billings, I would want to touch about Rs 2,000 crore by 2020 as a digital agency. I will quantify that number and throw it out there because that’s a very large number. That would mean that if the market is Rs 20,000 crore, we should be 10 per cent.